In a large bowl, combien peppers, artichokes, cheese, olives, and tomatoes. Add chill for at least 30 minutes. 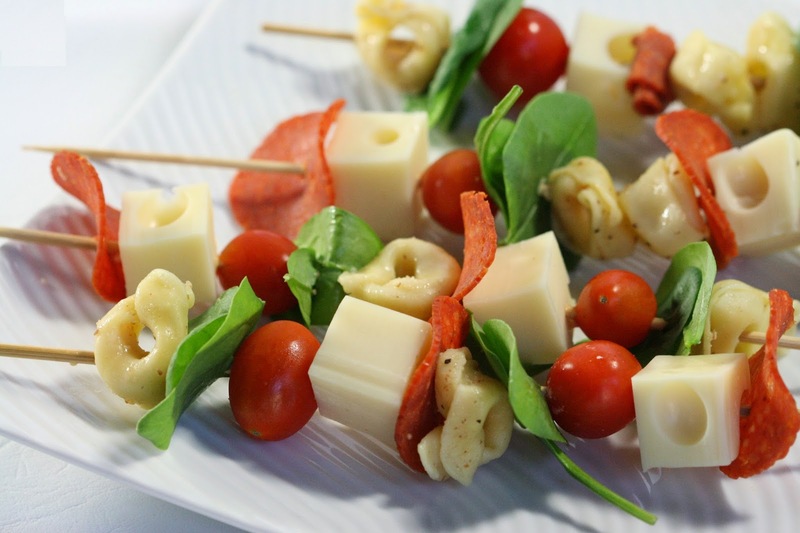 Thread marinated mixture and pepperoni evenly onto skewers.